Wedding Photography Rivington Hall Barn, Lancashire. Set in the heart of Lancashire, Rivington Hall Barn is nestled in a picturesque countryside location, with surrounding fields and a mass of woodland. A perfect location for any couple who are looking for a unique venue to host their special occasion. This Grade II listed building, dates back to the 12th century. Still retaining it’s original features, character and charm, Rivington Hall has been in the Salmon family since 1953. The Hall Barn is where main events take place, with the Tea Rooms in a smaller barn, known as the Great House Barn. In the grounds, in front of Rivington Hall, is the ideal welcome for your guests. Greeted with a drinks receptions and to take in the atmosphere of the venue. Once you step inside the Barn, it will take your breath away. With stunning spacious interior and wooden beams lit with their own lighting system. 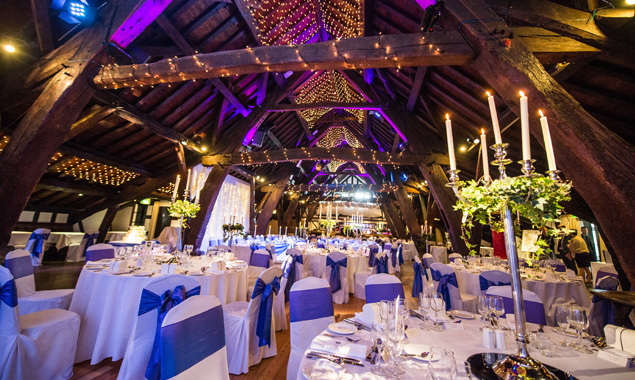 No matter what colour scheme you have in mind, the lighting of The Barn is decorated beautifully with its fairy lights, spot lights and different coloured up lights of your choice. You have an instant magical wedding reception ready and waiting.